Your free app to guide you from “Yes” to “I do”. Let's get started!GET THE APP, IT'S FREE! Stressed about your wedding planning? Let’s fix that. 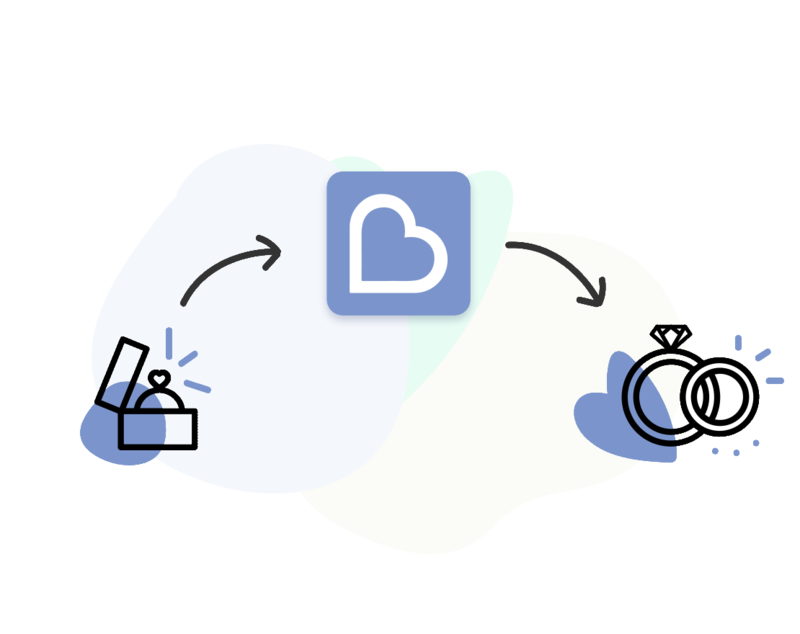 With Bridebook it’s never been easier to plan your wedding. You have everything you need, all in one place, ensuring your engagement is as fun and stress-free as it deserves to be! 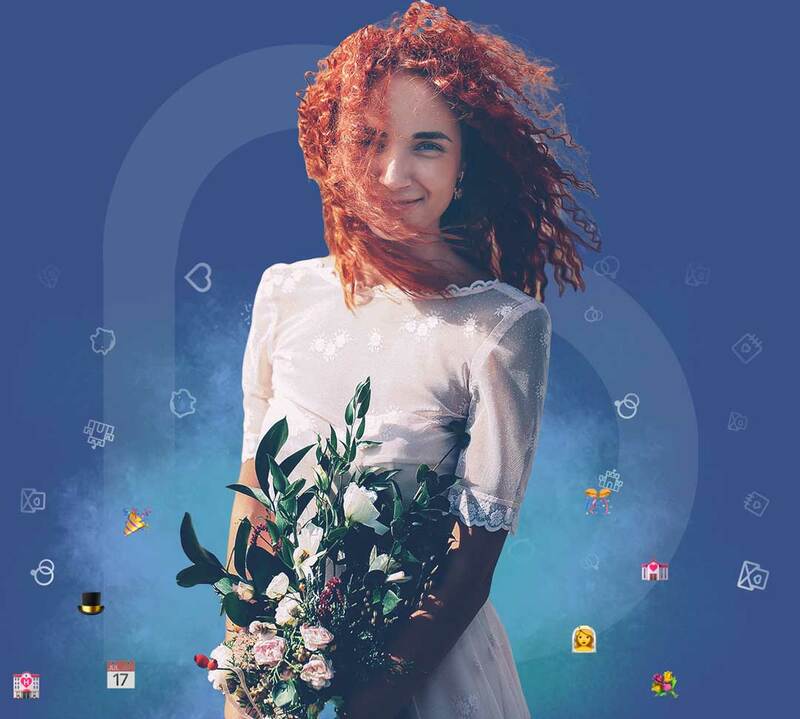 Be a part of the wedding revolution, and get appy! Be a part of the wedding revolution, and get 'appy! When I first started my wedding planning, I had no idea where to begin! 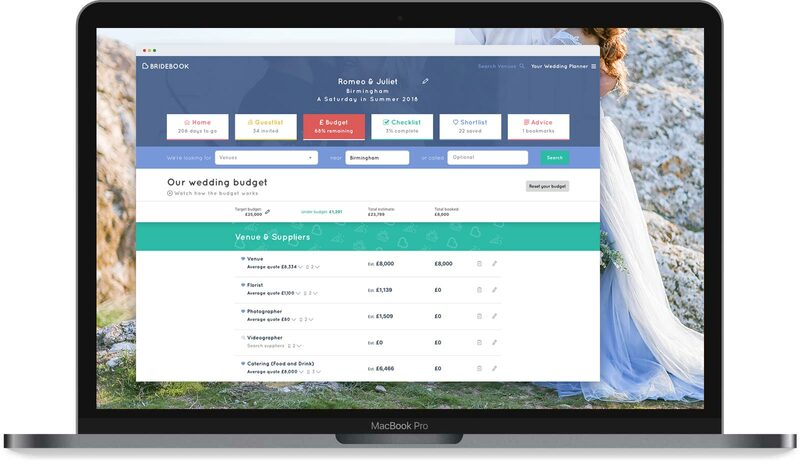 But by using Bridebook I have been able to search for all of my suppliers, as well as organise my guestlist, checklist and budget. I now feel so much more relaxed about the wedding! 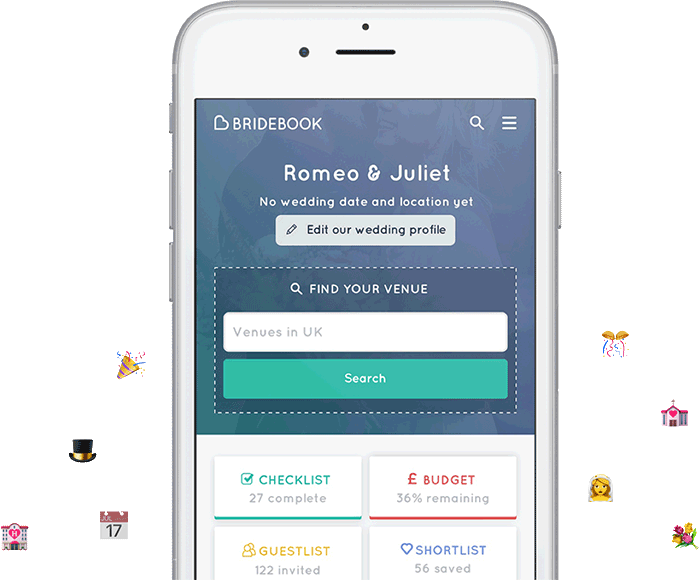 Bridebook is home to the UK’s largest wedding directory, all on one easy-to-use platform. Say goodbye to endless searching - our supplier profiles have all the information you need right there, from pricing to reviews, giving you the information you need to build your wedding day dream team. Planning a wedding doesn’t have to mean giving up your social life. Your personalised checklist guides you through every step, in a manageable month by month layout. Who said you’re unorganised? We know budgeting isn’t easy, so we’ve made it our priority to look after your pocket. 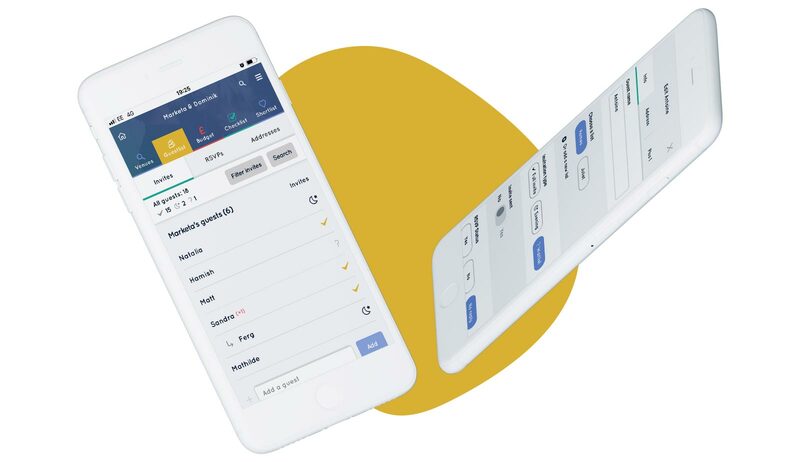 Simply give us your goal total spend, and our algorithm will build you a tailored budget with seamless tracking of your spending as you book. No accidental over-budget weddings here, thank you very much. Spreadsheets are OVER. Yep, we said it. Your Guestlist is designed with you in mind. 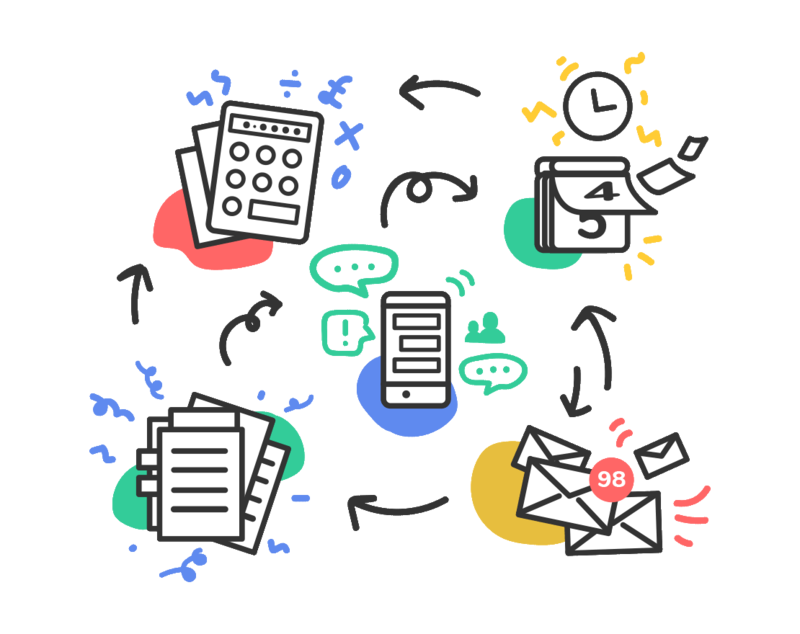 Keep all your guests’ info, from RSVPs to addresses, and seating arrangements to dietary requirements, in one place, and update on the go. Plus you can download and share it when you need to!